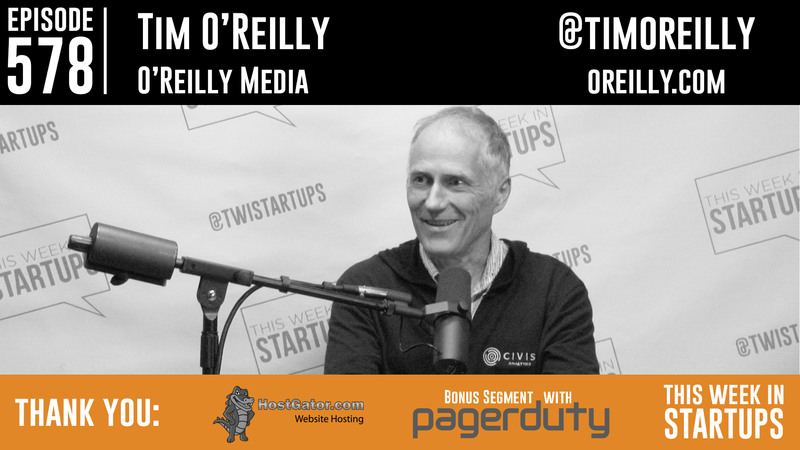 Tim O’Reilly is a publishing pioneer, open-source champion, hero of Jason, and inspiration for many. What do A.I., scheduling software, Uber, and basic income have in common? The Founder of O’Reilly Media answers this and more, as he talks to Jason about WTF Economy (that is, What’s the Future?) — specifically, how technology is transforming the workplace, where the jobs will be and won’t, and our best (perhaps only) way forward.